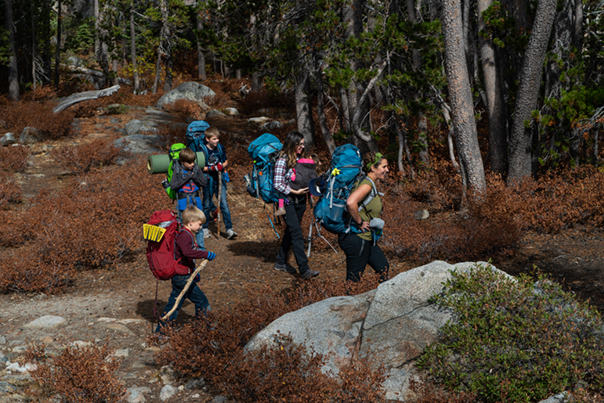 A single mom of four sons and one severely disabled daughter embrace backpacking to turn their lives around. It’s a busy October weekend in California’s Tahoe National Forest. Camo-clad hunters blaze past the Salmon Lake trailhead parking lot on ATVs. Autumn Cullen barely notices them as she unloads her kids and their backpacks from her white Honda Odyssey minivan. She has work to do. 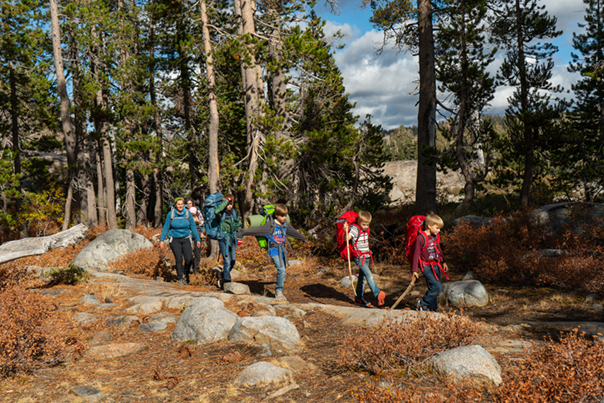 For most parents, taking young children backpacking is a daunting endeavor. 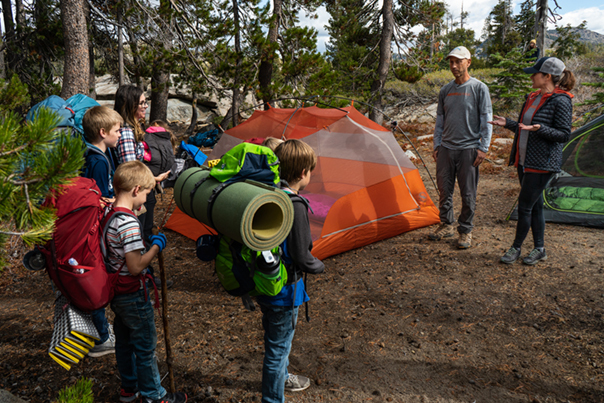 Organizing gear and food, getting them to carry some of it, keeping them moving in the right direction—no wonder years can go by between family treks. And most parents don’t face the challenges Autumn does. The 38-year-old is a single mother of five kids: Cael, 12; Kipp, 10; Finnian, 7; Remington, 7; and Story Grace, 4. Story Grace is no average preschooler. Doctors told Autumn early on that Story Grace had severe chromosomal abnormalities and would likely only live a year. She is legally blind and deaf, doesn’t talk, has severe osteoporosis and kidney disease, and eats through a feeding tube that’s attached to her stomach. Her disability alone would be enough to stop most parents from even considering going hiking, let alone backpacking. 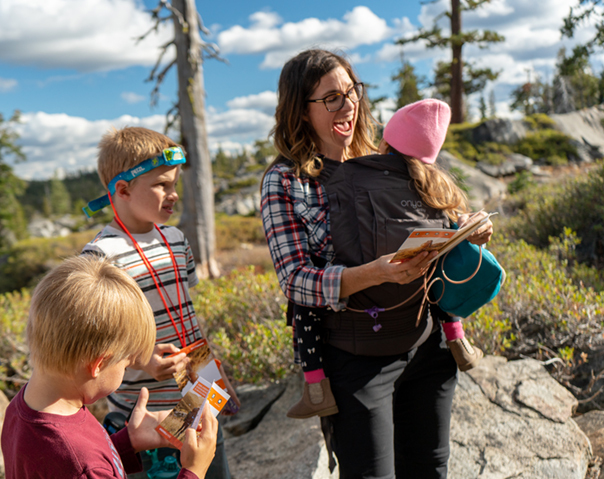 I met Autumn through Facebook in July 2018, when she shared photographs of her first overnight family backpacking trip to the Hike It Baby page, a nonprofit dedicated to getting families into the outdoors. 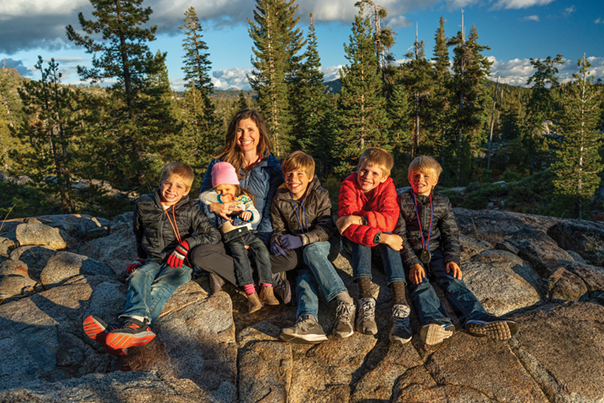 She stood in front of a fallen log, surrounded by her sons, wearing a 40-pound pack with Story Grace, her 20-pound little girl, tucked into her front carrier. I was impressed. I have a 5-year-old son with sensory processing disorder, and I know firsthand how hard it can be to get just him out on the trail. I wanted to meet this supermom. 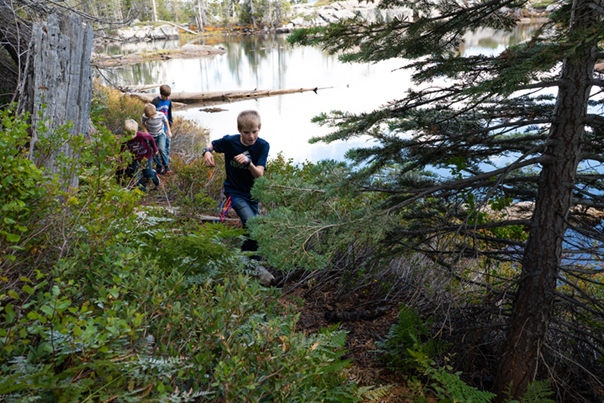 Fast forward a few months later, and I’m joining Autumn and her kids on a 1.5-mile hike to Salmon Lake outside of Norden, a small town near the California/Nevada border. 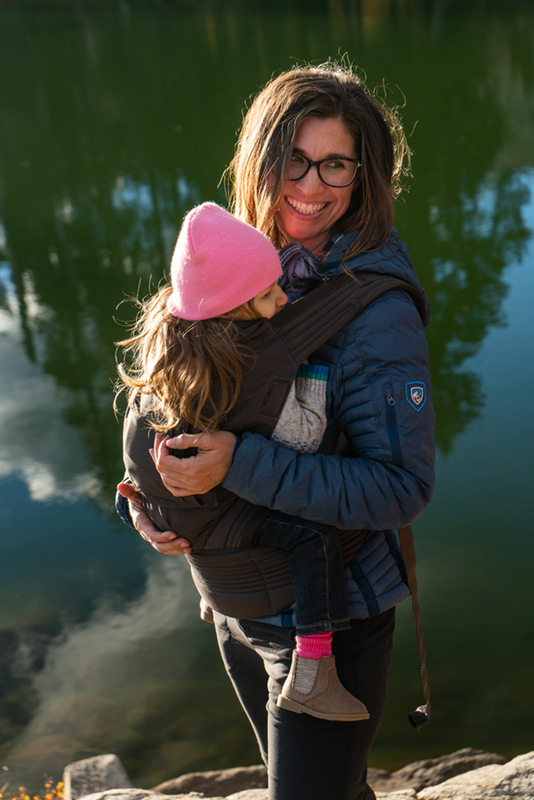 We haven’t even left the parking lot yet and she’s already schooling me—the creator of an organization dedicated to getting families out hiking with little ones—on how to backpack with kids. As we unload our cars, I quickly learn rule number one: do not expect kids to move fast. Wrangling four boys is akin to herding cats. And we haven’t even fed Story Grace yet. “Kipp, hold Story Grace please,” Autumn says. He happily plops down on a sleeping pad and holds his sister like a human chair, talking softly to her as Autumn prepares her third meal of the day. Kids like Story Grace are affectionately called “tubies” because they rely on feeding tubes for sustenance. Autumn feeds her every two hours and hooks her to a continuous drip at night. Since typical food made for tubies must be refrigerated, she had to create her own dehydrated meals for Story Grace. Just add water, shake, and hook up the battery-powered feeding pump that she carries in a toddler-size, owl-themed backpack. 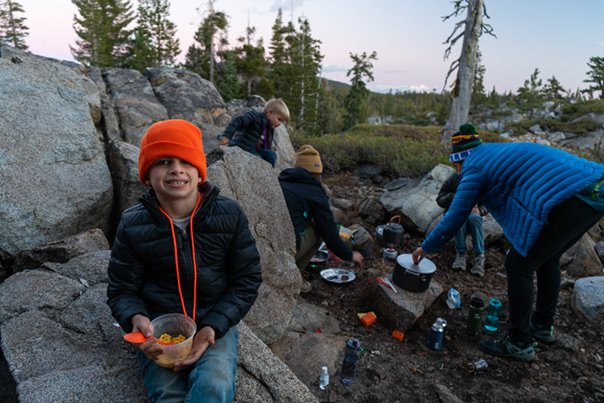 Autumn carries the pump, the food, and most of the shared gear, but the boys have to pack their share. They each carry their own sleeping bags and mats, a few extra clothing items, water, and lightweight packs of tuna fish and bars. The twins each weigh about 45 pounds, so Autumn likes to keep their packs under 10 pounds. Autumn always stays within 2 miles of the parking lot on overnight trips in case Story Grace has an emergency. She can’t afford a rescue beacon and venturing outside of cell range makes her nervous. Still, she tries to find new, adventurous spots to camp and tries not to let the “what ifs” slow them down. “The hard part about packing solo is worrying that something might happen. ‘Can I keep them all safe?’ But I try not to think about this or I would never get out there,” she says. Autumn grew up horsepacking, but once she left for college, her relationship with the outdoors ended. She started working, married someone who didn’t like camping or the outdoors, and then started having babies. 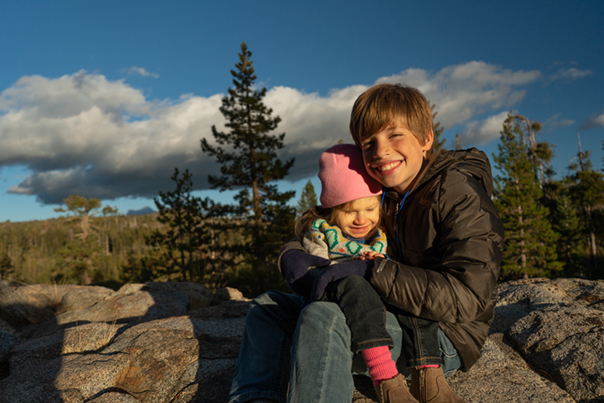 Her first trip was a success, and instantly she knew the outdoors would heal her family. 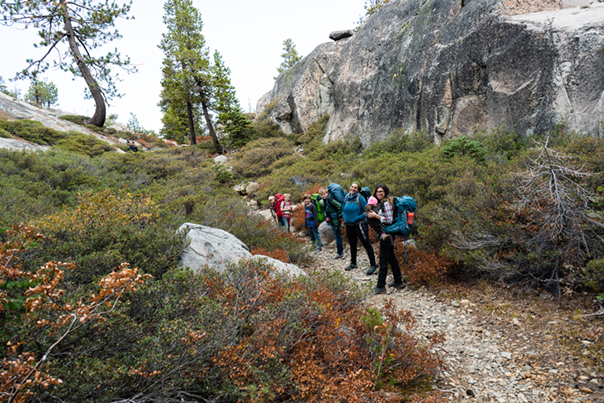 She worked up to hiking with the whole brood and the gear she’s been able to cobble together. I’m helping lighten the load this trip. I’m carrying 45 pounds worth of food, water, and other essentials likes diapers, headlamps, and sleeping pads. Autumn’s doing the same. Plus, she’s carrying Story Grace in her front carrier. We hike in slow procession. The boys stop to pick up sticks and rocks. 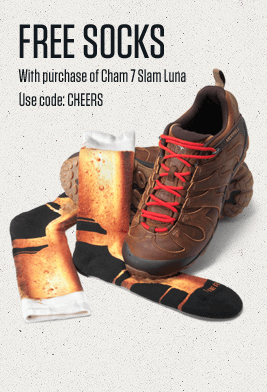 They play imaginary baseball and walk across logs. 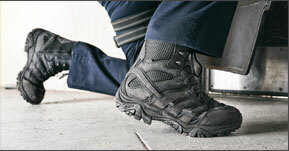 “Once I’m on the trail the nervousness goes away, and I feel like a rock star. I feel at peace. I can breathe easier,” she says. “I’m happier. Almost everyone who walks by says something encouraging and that helps give me a boost. Her two oldest sons have taken to sleeping outside beneath the stars. 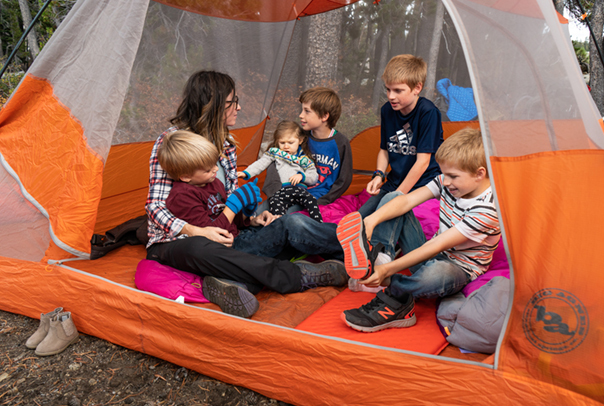 On colder nights, they pile into Autumn’s beat up, 3-person tent with her, the twins, and Story Grace. It’s a tight fit, made even tighter by Story Grace’s nighttime feeding gear. On those nights, Autumn curls around Story Grace as a protective barrier while the boys sleep intertangled beside her. Autumn wishes she could upgrade her tent but, for now, her makeshift kit is the best she can afford. She also tells me she wished she could afford better shoes for the boys and more technical outerwear, but it’s not in their budget. That’s why I’m here. Well, that’s why we’re here. 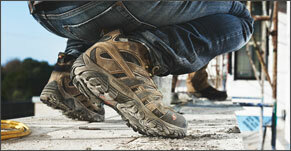 I’ve joined forces with Merrell and BACKPACKER to surprise Autumn with a new version of trail magic: Merrell Magic. As we crest the hill above the lake, Autumn stops in surprise. A welcome committee stands in front of multiple tents nestled next to the glittering lake. 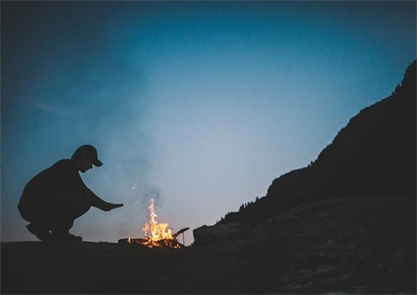 The boys gape and then take off sprinting, doing victory dances as they discover headlamps, water filters, and walkie talkies hidden behind tree stumps and rocks. They come back to the campground, giggly, with prizes overflowing from their arms. They hand their mom the final present: a white envelope. She pauses, smiles at her happy brood, and then carefully tears it open and pulls out Merrell gift cards with enough funds to outfit her growing kids for the next three years. 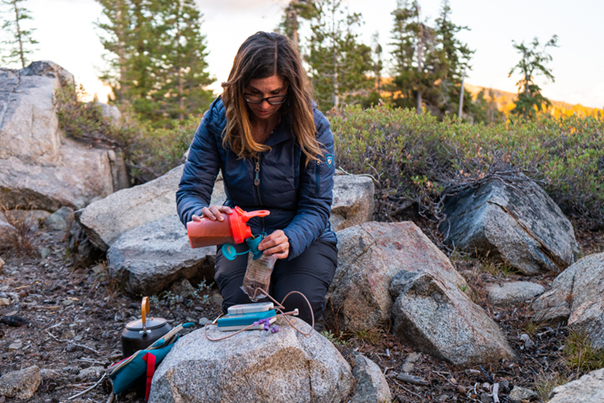 As dusk settles, Autumn disappears into her new ultralight 4-person tent to tuck Story Grace into her new sleeping bag and hook up her feeding tube for the night. Outside, her sons dig into mac and cheese. They watch the stars come out over mugs of steaming hot chocolate. That night, as I drift off to sleep to the hum of Story Grace’s machine, Remi calls out for his mom, asking for one more hug. The wind carries his words.